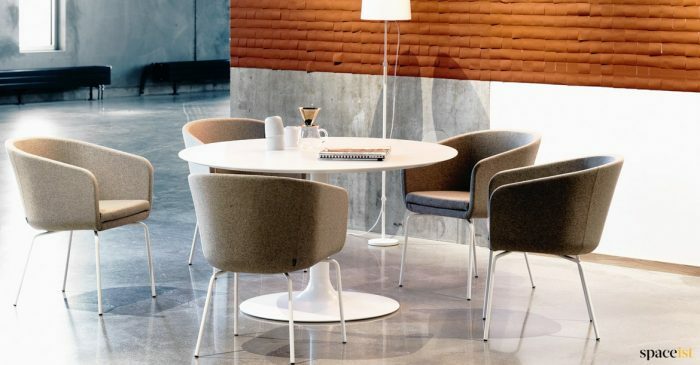 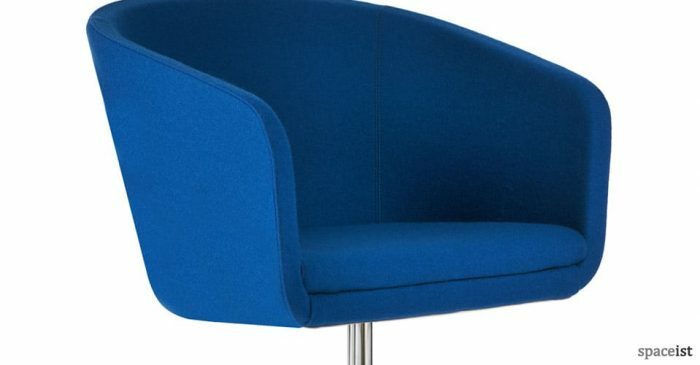 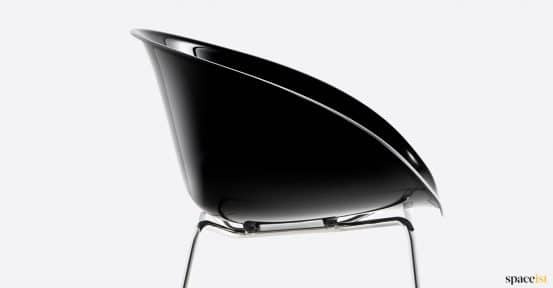 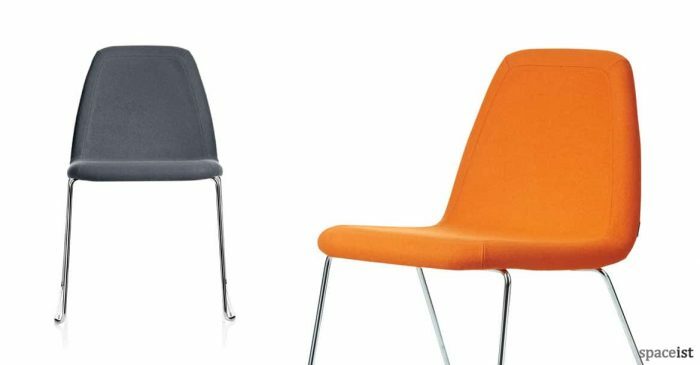 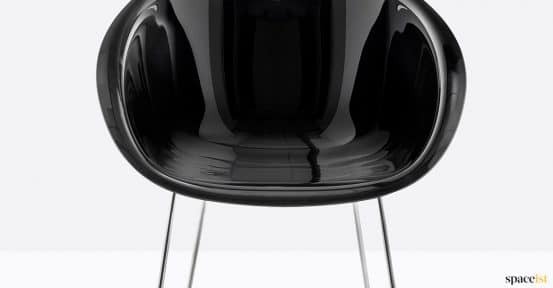 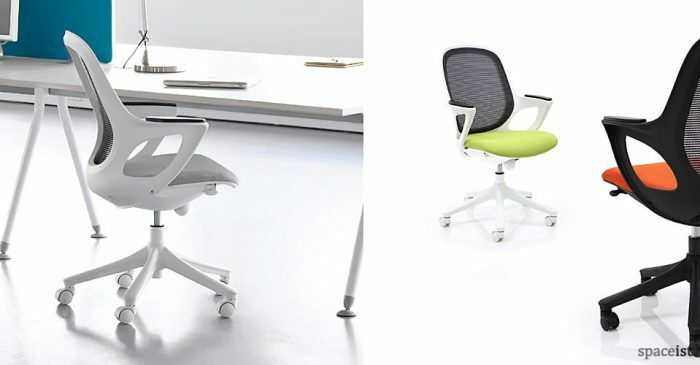 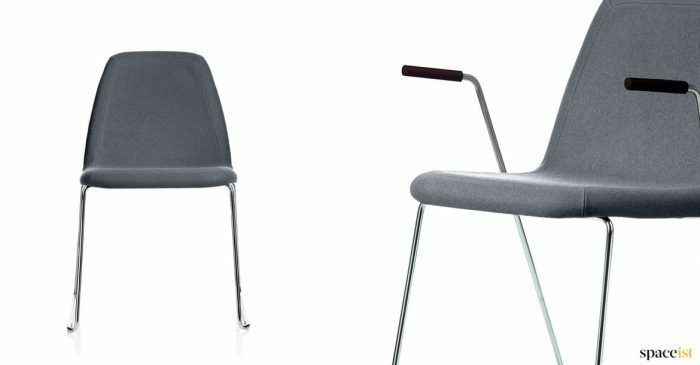 Gliss meeting chair with a transparent or solid colour poly-carbonate shell. 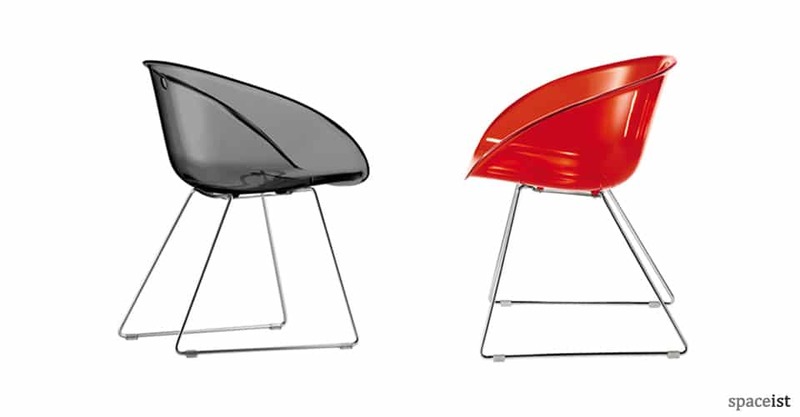 Seat colours include translucent, orange, green, red, solid white and black. 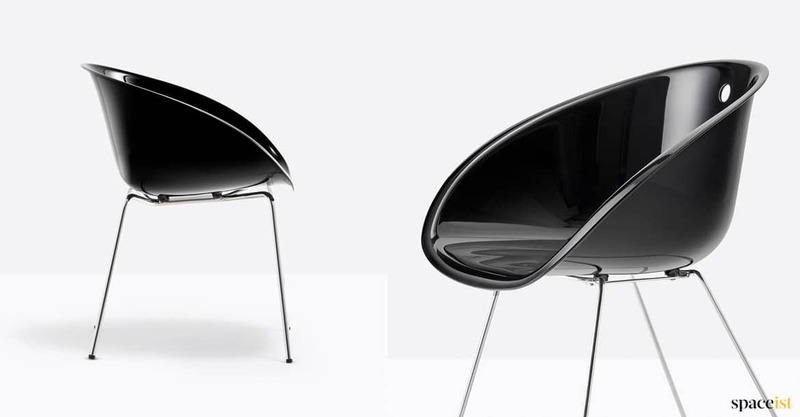 Chromed, white or black coated steel frame. 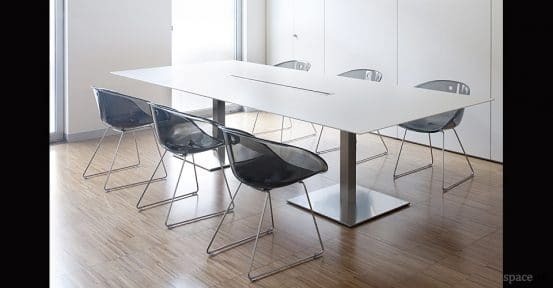 Shown with Plano meeting table.